Leave interior doors open, add insulation, consider installing water alarms and be aware. The main reason pipes burst? “It’s almost always temperature-related,” says Michael Mccan, plumbing manager at Michael & Son Services in Alexandria, Virginia. “Any water line that goes below 32 degrees can freeze.” When the water inside a pipe freezes, the ice causes an increase in pressure; when the pressure gets too high, it ruptures. Even people living in regions with warmer weather should still be concerned, the Insurance Institute for Business & Home Safety says. 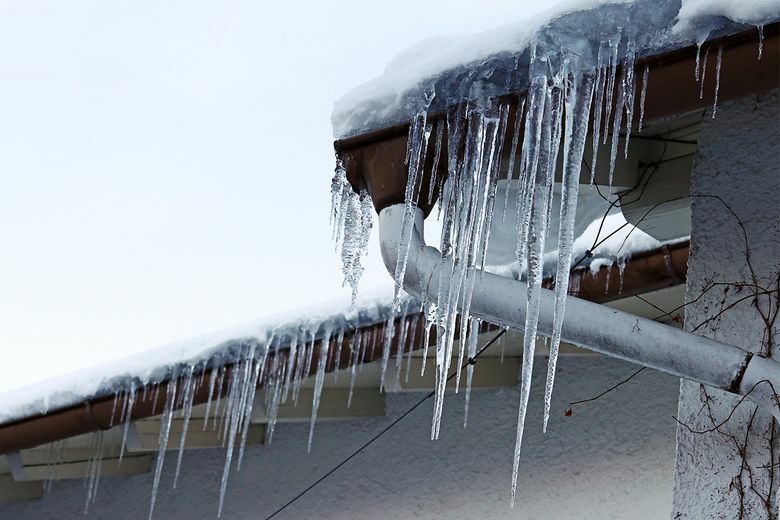 In fact, “water pipes in houses in southern climates often are more vulnerable to winter cold spells, since the pipes are more likely to be located in unprotected areas outside of the building insulation, and homeowners tend to be less aware of freezing problems, which may occur only once or twice a season,” according to an IBHS report. Age is a big factor in whether pipes burst. Generally, older pipes are more prone to freezing, and the life span of a pipe line depends on its material. Richard McGarry, a certified home inspector in Gainesville, Florida, says the average life expectancy of copper and PVC pipes is roughly 50 to 70 years and about 40 years for PEX pipes. If you have pipes that are nearing their expiration date, it’s wise to hire a plumber to inspect their condition. If they need to be replaced, do it before you encounter an issue. There are many insulation material options. “The thicker the insulation, the more freeze-proof your pipes will be,” Mccan says. Fiberglass insulation is the gold standard, but “it’s not practical for every homeowner, because it’s more expensive than other types of insulation, and you have to bend and cut it, so installing it would require a professional,” he says. Looking for a cheaper, install-it-yourself option? Everbilt’s foam pipe insulation acts as a protective cover against cold during the winter and heat during the summer (when condensation can build) for copper and PVC pipes, and it only costs about $1.50 to $3 per six feet from Home Depot. Other types of pipe insulation can cost as little as 50 cents per foot, the IBHS says, so check your local hardware store. One budget-friendly option is a set of Honeywell’s reusable water leak alarms. Want to monitor leaks when you’re not at home? Consider buying the iHome iSB02, a battery-powered install-it-yourself water monitor you can control from your smartphone. The clearest sign you have a frozen pipe: You turn on a faucet and only a trickle of water comes out. If that happens but there’s no water leaking, run warm water through the pipe to melt the ice. Applying heat to the pipe by wrapping it with towels soaked in hot water can also do the trick. Do not use an electric heater, hair dryer or any device with an open flame to try to thaw the ice; the high heat can damage the pipes or start a fire.